DOESÂ YOURÂ LAWNÂ NEEDÂ PLUG AERATION? 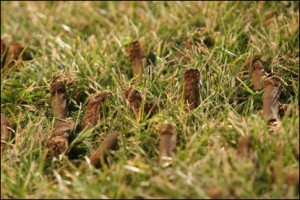 Plug Aeration can be done anytime the lawn is actively growing. Soil compaction is the number one reason to perform plug aeration. Through aeration, soil becomes less compacted and is exposed to the circulation of air. Once the soil is aerated, air exchange improves and the soil can easily absorb water, fertilizer and other nutrients. 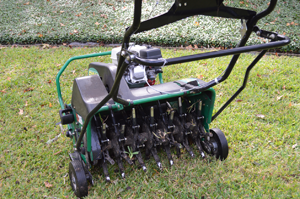 Mr Green Lawncare Corporation strongly advocates all lawns get aerated once a year.